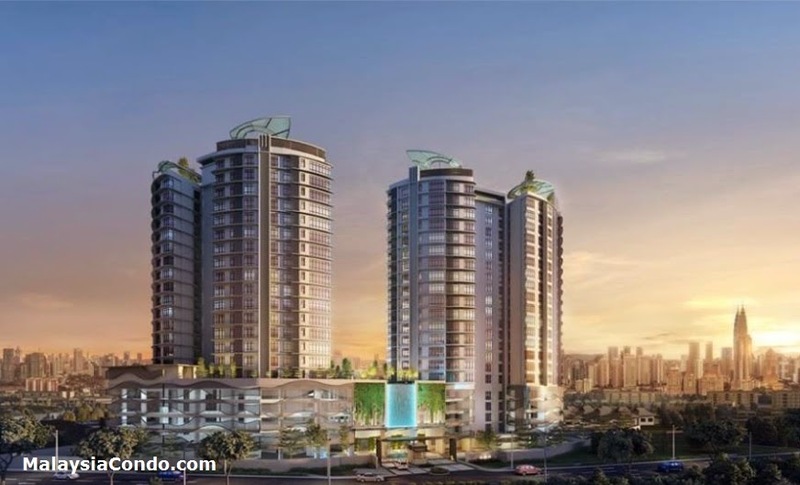 Chymes @ Persiaran Gurney, Kuala Lumpur, sprawled across 2.5 acres of land, the freehold property is divided into two blocks – A & B – each comprising 127 and 128 units. Aimed at young families, couples, working professionals and those looking to upgrade their homes, it also Green Building Index (GBI) certified, assuring residents the fact that they are living comfortably while also preserving Mother Nature. Unit sizes start from 943 sq.ft. (3 bedroom & 2 bathrooms) to 1,985 sq.ft. 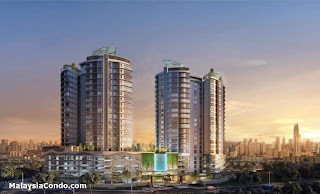 (3+1 bedrooms & 4 bathrooms) with Genting Highland or KLCC view. Facilities included are infinity swimming pool, reflective pool, multi-purpose hall, squash, sauna, kindergarden & children playground, sky glass gym, sky dining and BBQ pit. Built-up Area : 943 sq.ft. - 1985 sq.ft.